Isaiah Thomas could obliterate second units, but will he be willing to accept that role? Will be be willing to accept his role as a backup point guard off of the bench? Will Thomas be able to produce in a similar fashion after his hip injuries? Without answers to both of those questions, there is no real way to decipher the impact that Thomas could have on the Nuggets, so let’s dive into answering each of them. Will Thomas be accepting of his role? While Thomas has the ideal skill set to destroy second units as the backup lead guard, the real question is if he will be willing to accept that role. So far, the Nuggets have done a great job of articulating to the media and to Thomas that he is going to be the backup point guard and will not start for the Nuggets unless an injury forces him into the starting five. Even Thomas’ former head coach — and one of Thomas’ biggest supporters — Michael Malone reiterated the same sentiment. “I want you know that Jamal Murray is our starting point guard now, and in the future, and if you’re looking to go somewhere to fight for starting minutes, that’s not going to happen here,” Malone told Wojnarowski in regards to Thomas. So far, Thomas has said all of the right things when pressed about coming off of the bench for the Nuggets. He has publicly stated that he is not worried about his role and just wants to prove himself once again. It is great to see the Nuggets organization and Thomas understand each other, but Thomas has been frustrated with his role as recently as last season. While the right words have been spoken so far, there is still a very real worry that Thomas could be abrasive from time to time as he was when he was with the Cleveland Cavaliers. Thomas and the Cavaliers were never truly on the same page and it seems that misunderstanding led to his demise in Cleveland. 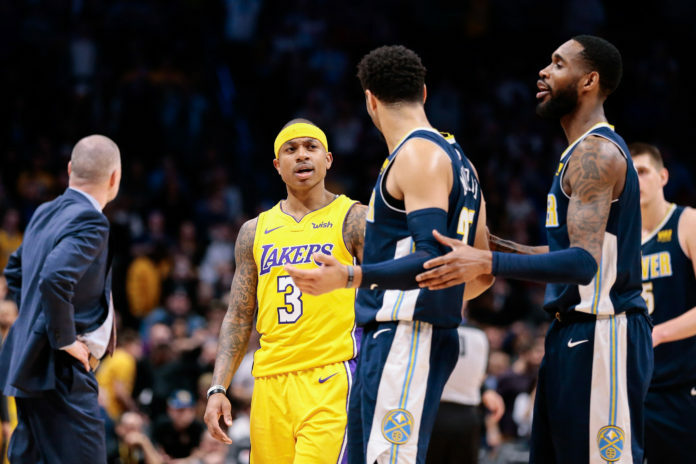 The issues that Thomas faced in Cleveland will differ from the ones that he faces in Denver — the Nuggets will not ask him to be the two-time All-Star who scores 30 points a game — but that does not mean that his frustrations will not come to a boiling point. Even after he was traded from Cleveland to Los Angeles, the same issues with his role surfaced. Thomas has been reluctant about coming off of the bench for most of his career, but even as recently as March 15th of last year with the Lakers, he doubled down on that same thought process. 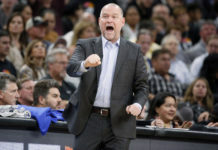 As long as Thomas does not cause any issues in the Nuggets locker room and he accepts his role, the 2018-19 season could be a resounding success for both Thomas and the Nuggets, but if he decides that he is unhappy playing behind 21-year-old Jamal Murray, suddenly things could take a hard turn for the worse. With that being said, Thomas’ career is against the wall. 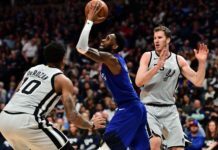 He did not receive one contract offer other than from the Nuggets and if he becomes a problematic locker room presence, it could spell disaster for his impending free agency. Thomas understands his situation and the Nuggets have had constant communication with him prior to agreeing to a veteran minimum contract worth $2 million over just one season. Thomas is well aware of what the Nuggets are asking him to do and the limits on his role. If he can buy into what the Nuggets are selling, this could be a fruitful marriage. Can Thomas’ burst and quickness still be an intrinsic part of his game even after his hip injuries? If there is one thing that Thomas has consistently done for every team that he has played for over his basketball career, it is score at will. 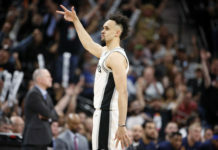 There have been questions about if his hip issues will take away from his ability to score in bunches, but even when going back at looking at his film with the Los Angeles Lakers, it is clear that Thomas can still put up points with some of the best pure scorers in the National Basketball Association. Thomas can still be a lethal three-point shooter, hit pull-up jumpers off of the dribble, and get into the lane to score at the rim using a plethora of finishing moves. Look at the diversity and difficulty of the shots that Thomas is still able to hit off of the dribble. If Thomas can bring this level of shot making to the Nuggets bench unit, he will be a massive upgrade over Devin Harris or Emmanuel Mudiay, who occupied the backup point guard role last season. This is how Thomas has always found success as a shooter, and with him being the primary backup ball handler there is no reason for Thomas not to bring this level of shot creation to the Nuggets. During his time in Los Angeles, Thomas showed that his game did not dissolve into nothing but outside shooting even after his hip issues. He can still get to the rim and finish around or through shot-blocking big men. In the video below, Thomas crosses Nikola Jokic into oblivion before getting to the rim, uses a screen to get by Jrue Holliday before finishing through Solomon Hill, beats Nikola Mirotic in isolation off of the bounce, and even finishes through the body of MVP candidate and defensive terror Anthony Davis. It is important to remember that Thomas was able to do these things without being fully healthy, or really anywhere close to full healthy. If Thomas can expound upon his scoring ability from a year ago and regain some form of his former MVP-caliber self, he will be an undeniably important cog in the Nuggets machine as they attempt to make the playoffs for the first time in five years. Thomas still has all of the offensive skill to be a terror in the NBA; especially against bench units. His burst still exists. His quick first step still exists. His body control still exists. There are some people who think that Thomas’ ability to be a productive NBA player disintegrated after his hip injures, but those people are sorely mistaken. Look at the play below and Thomas slices the Miami Heat to pieces. He uses a stutter-step dribble to slow the play and to force Kelly Olynyk to hedge up the floor even further, which means that Josh Richardson — one of the best defensive players in the league — ends up flat-footed and expecting either a switch or more time to recover onto Thomas. This is when Thomas knows that he has the defense right where he wants them. Thomas explodes off of his stutter-step dribble and blows past Olynyk into the paint. Suddenly, Richardson realizes that he is now trailing Thomas and attempts to use his longer strides to catch him, but Thomas switches into high gear and continues to blow past him before eventually using Ivica Zubac as a shield to keep Richardson from blocking his shot. That is the type of play style that the Nuggets will be looking for with Thomas. If he can get to the rim and break down a defense while simultaneously bringing more space with his three-point jumper, the Nuggets have the depth to beat some teams with their bench unit spearheaded by Thomas instead of losing leads every time the starters go to the bench. Just that alteration to the roster alone could be the difference that helps Denver finally get back to the playoffs.